I know, I’m terribly behind with my Vietnam posts. In the meantime, I feed you literally with some Vietnam flair from Munich. Whenever I’m back for longer new restaurants pop up everywhere. This week I was attending an event in the Schellingstraße. 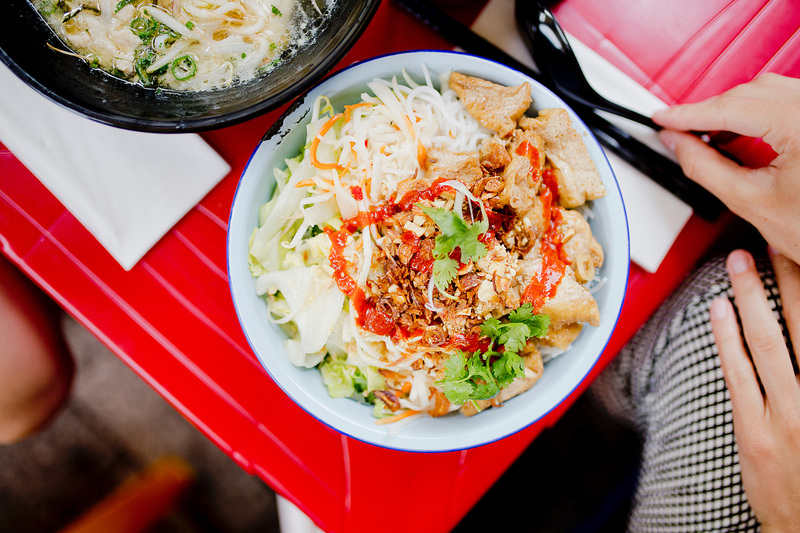 Not only has opened there a new a cool cream shop but also Bami House 1976 – a hip Take-Away and Eat-In with absolute Vietnam flair. Bami House 1976 has straight away opened two new restaurants, which are only a few blocks distance – one in Schellingstraße and the other in Türkenstraße. Quite brave, but supposedly the owners were 100% persuaded of their concept. Already the cool interior and the open-air area in the front has convinced me. 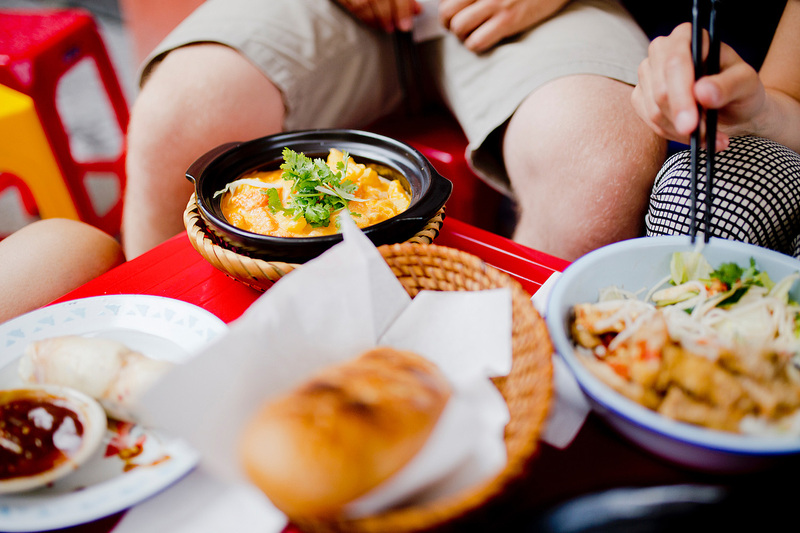 Bami shows that the hip student neighborhood Maxvorstadt doesn’t need another fancy-schmancy restaurant. 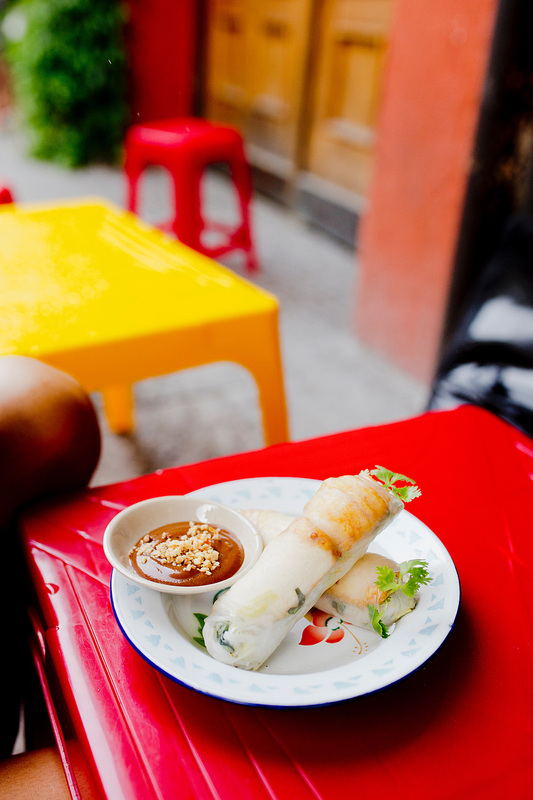 Like on the streets in Vietnam you’ll find colorful plastic chairs and tables, which make you want to travel there again. 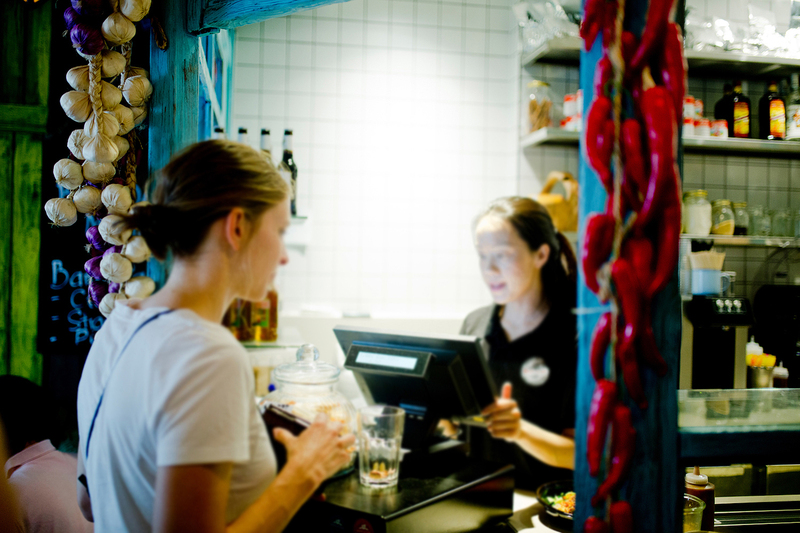 You’ll order at the counter and are pleased to bring your dishes back when finishing your meal. 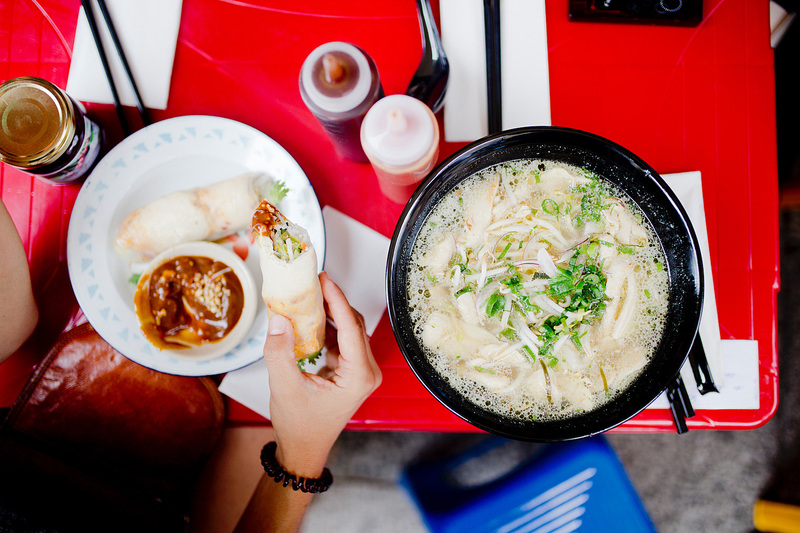 I absolutely love Phở, Báhn Mì, Bahn Bao, summer rolls… You’ll find all the delicacies I know from Vietnam’s streets on the menu. I chose a Pho soup with chicken (6,90€). Well, quite crazy to order something super hot during summer but this is exactly what Vietnamese people do on hot summer days. I definitely miss my daily pho soup for 1,30€, which is so cheap compared to Europe’s prices. In fact, shop rentals, groceries and so on are much more expensive here. My friends chose the summer rolls (3,90€), glass noodles with tofu & gìo (7,90€) and the chicken curry (7,90€), which comes with a baguette. very tempting are the combo meals, i.e. 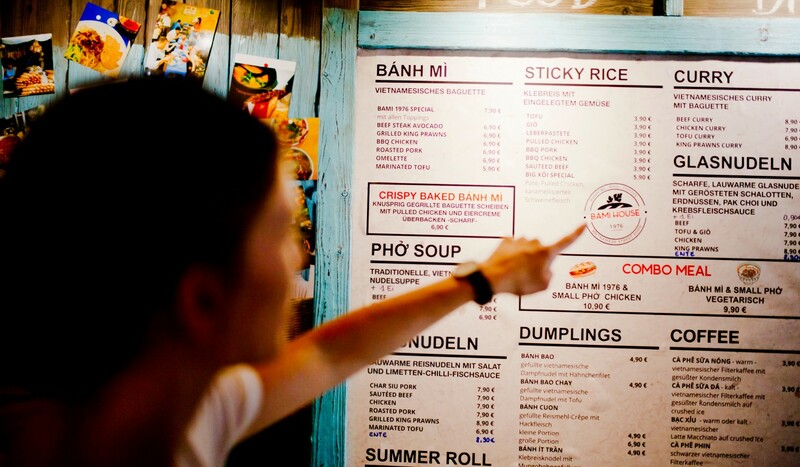 a delicious Báhn Mì & small Phở Ga for 10,90€. I was very hungry. So hungry that I didn’t even read the menu until the end. Otherwise I would’ve seen that they also offer Vietnamese coffee, Cà Phê. I loved to drink that when I was in Vietnam. I definitely have to come back and drink it next time. Hopefully it tasted just like in Vietnam. The last time I drank one in Vienna I was a little bit disappointed. 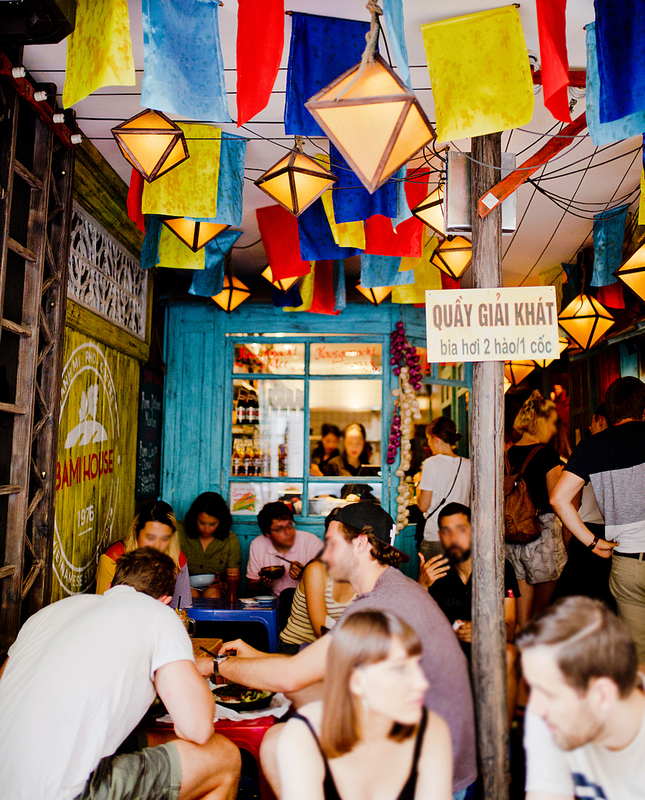 All in all, there are definitely better places to eat Vietnamese food. The springs rolls looked good and so did the rice noodles. But I really love the atmosphere. I’m coming back for sure! 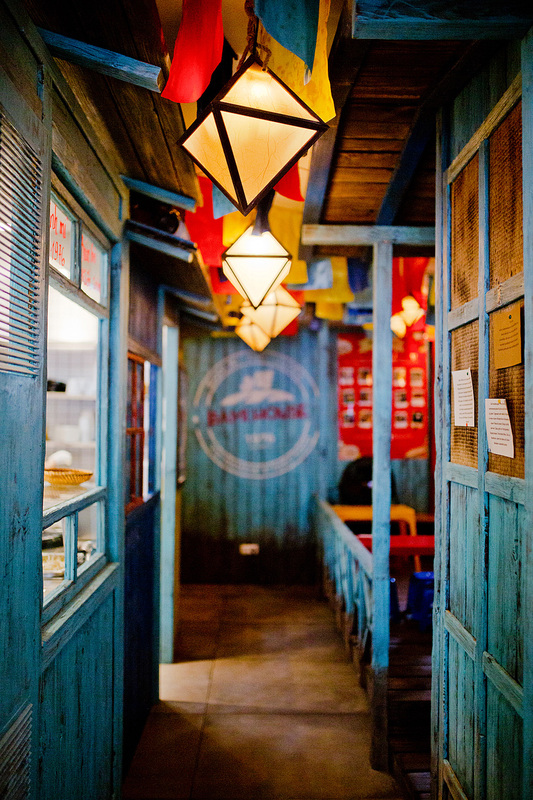 The place is perfect for a quick lunch. As I said, I also have to come back for their Ca Phe. 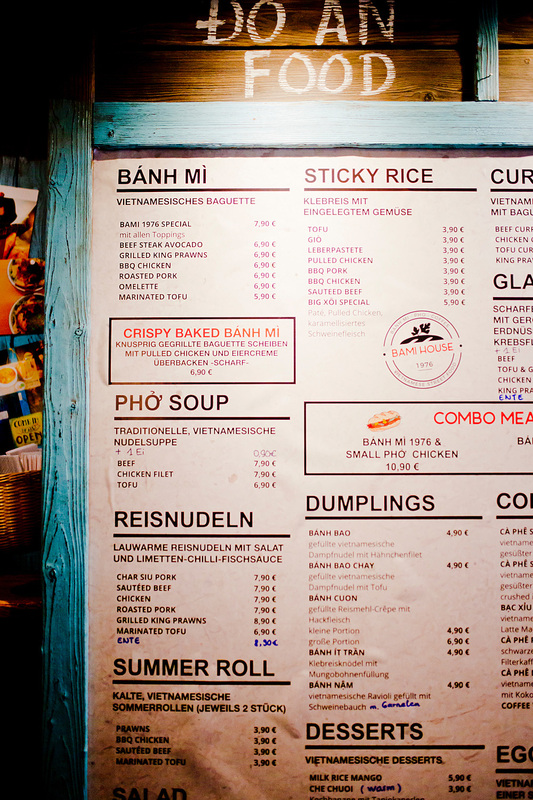 Welche vietnamesischen Restaurants kannst du in München noch empfehlen? ehrlich gesagt war ich nicht so viel Vietnamesisch in München essen. Ich mag das Anh-Thu in der Kurfürstenstr. sehr gerne (war da auch schon 3 Mal abends). Mittags ist es um einiges günstiger! Und im Shami war ich auch schon! Kannst ja auch Mal das Royal Le hier probieren! Von Anh-Thu bin ich auch ein großer Fan! Die anderen muss ich noch probieren. Danke! Was für suuuper Tipps, echt klasse! Vietnamesisch ist sooo köstlich, ich liebe es! OH wie toll! Das Restaurant kenne ich!!! Jedes Mal, wenn ich meine Freundin in München besuche gehen wir dort hin, weil es soooo mega lecker ist. Auf jeden Fall ein super Tipp. Deine Bilder sind ebenfalls super schön. Leider suche ich in Freiburg vergeblich nach etwas vergleichbaren….